Remo 9 Inch SKYNDEEP Doumbek Head S Series Fish Skin GFX. Replacement head for 9 inch Remo Crystal and Soloist doumbeks. Remo WEATHERKING™ world percussion drum heads rely on the same open channel system that has established the drum set heads as the benchmark since 1957. 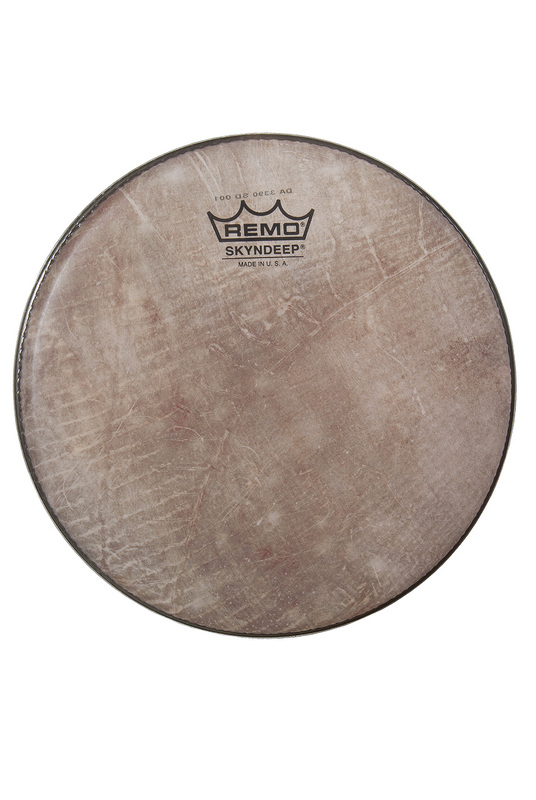 Skyndeep™is the graphic infusion of pigment into a polyester surface making it uniquely attractive while maintaining the integrity of a great sound drumhead.